Should I wrap my coupe military camo? Opinions welcome! lmao how is that racist? I hope you're trolling, or not from an English speaking country or something lol! Parked in someone else’s spot in a condo one day. Not much of a story. So they decided to do 10k in damage to your car? Jfc, what a psycho! I hope something happened to them. That is fawked man, sorry people are so fawked. So you know who it is? Last edited by BLKROKT; 03-15-2018 at 11:05 AM. I don't think people know that RICE is an acronym...for Race Inspired Cosmetic Equipment and does not mean it's a Japanese car with a big wing and a fart can. saying someone's car is ricey or is rice is not racist. so dumb. The term originated in the late 80's because it was a Japanese import car phenomenon. That's a pretty well known fact actually. Nobody's ever heard of that acronym, sorry. "A person who makes unecessary modifications to their most often import car (hence the term "rice") to make it (mostly make it look) faster. " "Any teenager or young adult who takes a japaneese import car, ususally a Honda, and adds relitivly cheap aftermarket parts that have no effect on engine performance. " that makes sense too. either way, it doesn't offend me. I'm Asian and drove a slow Japanese car with disproportionately loud exhaust (not fart can loud) haha. But then again nothing really offends me. thanks for the info, Jim. btw- I have your American flag but haven't had a chance to send it to you yet, dude. Last edited by BLKROKT; 03-16-2018 at 10:33 AM. But I try to stay away from any slang terms that have an overtly race-based origin just out of respect. I thought most reasonable people would understand that. Just like I don't use the n-rigged term or even *****rdly which happens to be a perfectly legitimate word with zero racist intent whatsoever, but clearly can't be used anymore as evidenced by it being censored here. Just common sense. Are you sure? Bc you sure do seem to lose your temper quite often on an internet forum like a pre-pubescent child. Wishing death on people for calling you a "Soy Boy", wishing death on their families, posting other members family photos etc. You sureee do seem like a stable individual. You need help. Wow. Just wow. Now I know some of you guys are younger but "ricers" are what we would call people who after watching the fast and the furious would buy jdm, Japanese cars try to mimic them often falling short. The term "rice rocket" is not directed at asian people it describes the failed attemp at those jdm cars. Ricers is a term for people who drive those cars. All races and types of people drive those cars so how is it racist to asian people. I know we live in an age where social justice warriors like that soy boy blkcuck get all bent out of shape over anything. Im a minority, let me try being a sjw. I think its racist that a white guy has a picture of a monkey and his name is blk something. Hes a racist. He has had opportunities that I havent and he insults a poor mexican like myself all the time. He must be a racist, theres no other explanation. Thats bich shyt and i wouldn't whine about things like that. BLKCUCK can go ***** himself, not because of race, color or creed. Its because hes an ahole d-bag who thinks hes got the moral and intellectual high ground over anyone who thinks differently. Gotta go, got work to do. See you crybabies later. 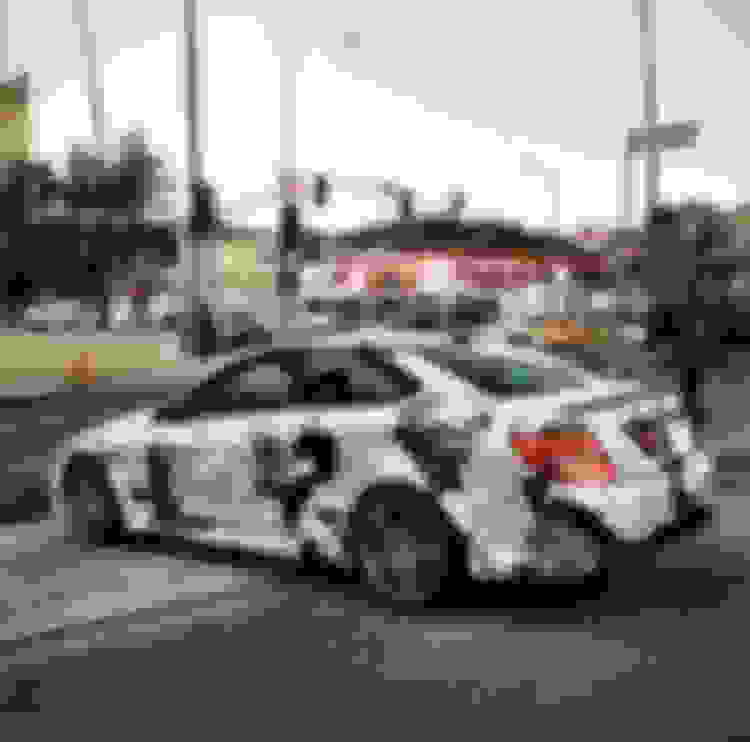 Last edited by SactownP31; 03-14-2018 at 05:28 PM. I'm not offended by much either. So not offended you had to make 4 posts in a row pulling stuff out of your *** to make something about race when it clearly wasn't and never has been. Do you have some kind of weird victim/savior complex that causes you to scan every post on these forums for words you don't like so you can swoop in and virtue signal at people? Did you type these up on your phone when you were walking out of class with the rest of the kiddies today? Get a grip, my dude. No one is out to get you for the color of your skin here. Last edited by G_Money; 03-14-2018 at 05:32 PM. Yeah its weird with this guy. Its like he's got a hard-on for me. Another thing I noticed throughout the years is the people who call you a racist, are probably racist themselves for making something insignificant about race. On a positive note at least he toned it down a bit and said I need to get my azz kicked instead of wishing for my violent end. Seriously guys dont be so sensitive. OP sorry about my comment over matte paint and classy not going together. Didn't think it would end in this circus over supposed racism. Camo looks savage in person. 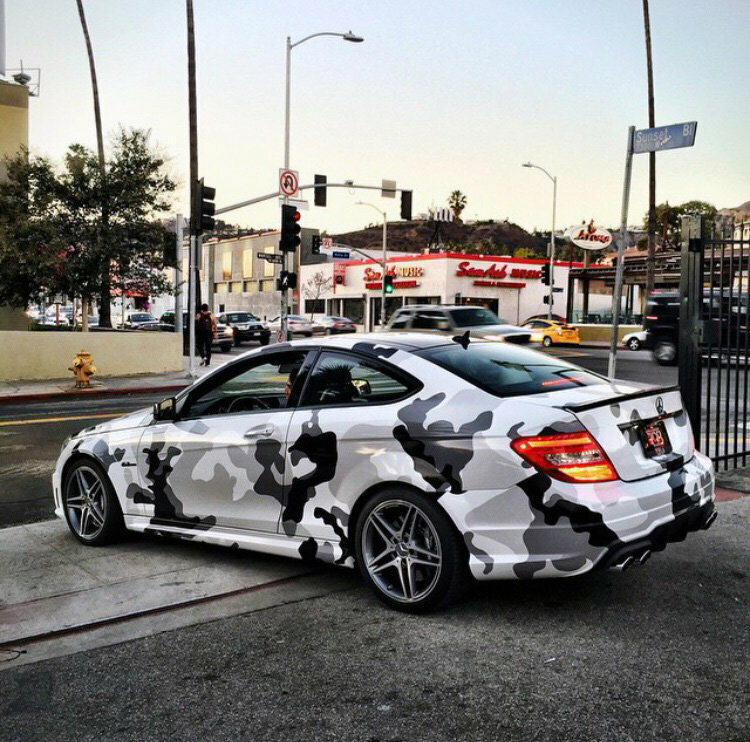 The meanest car I've seen was a digi camo wrapped c63 with nostrils. It pulled up behind me while in my clk. I immediately moved over to let it pass me just so I could see it. Tried following, he floored it, I couldnt catch up and the sound was savage. After that I lost interest in my modded clk (dream car and around 365whp) pretty quick. And now, back to our regularly scheduled programing. Opinion on camo wraped C63? No. Just no. Nothing more. Chrome wrap everything else blacked out. Last edited by Doc Oc; 03-15-2018 at 08:54 PM. It actually is short for race inspired cosmetic mods, which pretty much refers to the big wing body kits n stuff, so you were both right. Like I said check out Carbon Red, super nice. Quick Reply: Should I wrap my coupe military camo? Opinions welcome!